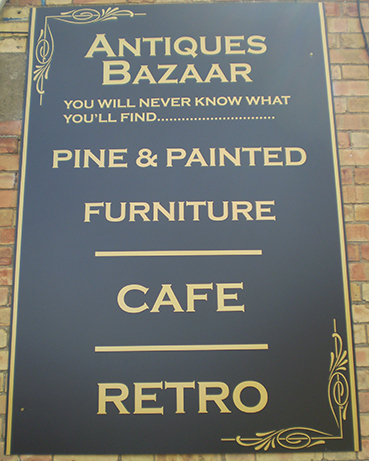 With all this going on, we could hardly believe that its just over a month since the official opening day of The Antiques Bazaar a new centre for vintage lovers at the Old Textile Mill on South Street in Crewkerne. 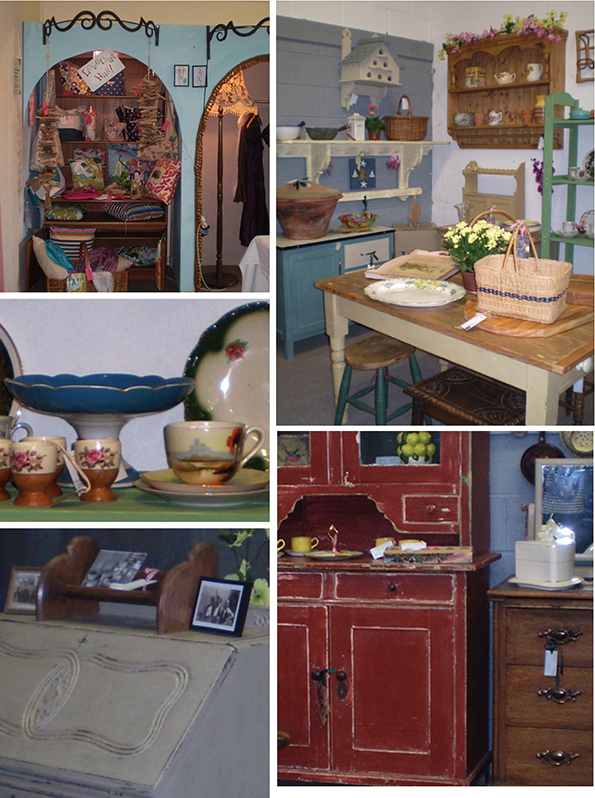 As you know we always like to celebrate when there’s somewhere new to indulge our vintage and retro nostalgia-buds so to welcome these lovelies onto the Dorset and Somerset vintage scene we invited the lovely Claire from Antiques Bazaar to tell us all about it and share her fab pics! “On arrival I was pleased to see that the venue was very busy to mark the opening weekend. There was an indoor market selling books, jewellery and lots of other exciting bits and pieces. 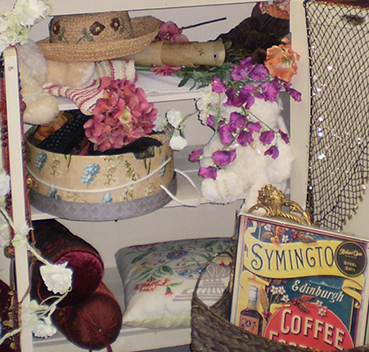 The 8,000 square-foot warehouse is home to all sorts from shabby-chic country living-style furniture plus vintage clothing and accessories, books and much, much more. Entertainment was provided in the cafe and indoor market area by Tina Bridgman whose vocals and acoustic guitar added to the relaxed ambience.The plan is to hold regular, (hopefully monthly), vintage markets indoors and outdoors just to add something extra. The cafe was kept busy by hungry and thirsty shoppers looking for somewhere to relax for a while and get something good to eat and drink whilst enjoying the atmosphere. 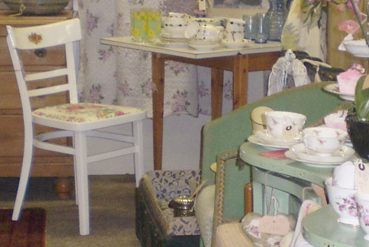 Inside the Bazaar you will also find a vintage studio equipped with a large work table and various sewing machines for designers and creators of vintage and retro styles to make and display their work. Along the back wall of the building is an Arts Wall which is available for local individuals and groups to showcase their work on a commission basis. We love these details from Claire’s snaps of the day… Thanks Claire – what a great place! 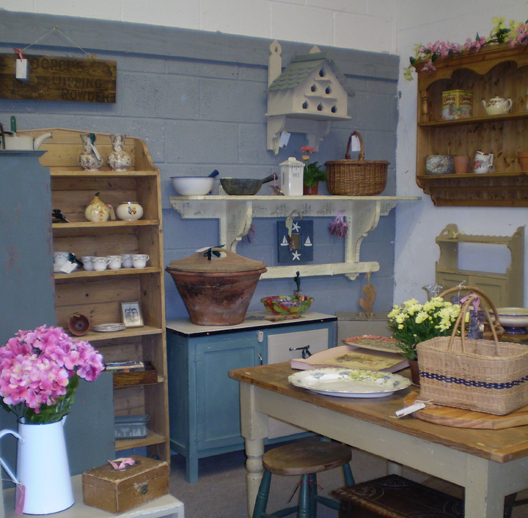 Opening times are Mon-Sat 9am-6pm and Sun 10-4 with free parking at all times. Linda especially loved this vintage dress – very reminiscent of Downton Abbey we think! !